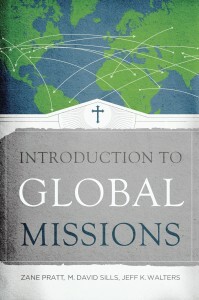 EDITOR’S NOTE: In the following, Southern Seminary missions professors M. David Sills and Jeff Walters discuss their new book, Introduction to Global Missions, with Towers writers Aaron Cline Hanbury and RuthAnne Irvin. ACH: What makes Introduction to Global Missions different from other introductions? MDS: The world is changing with increasing velocity, and global dynamics such as globalization, urbanization and diaspora migration patterns are forcing constant re-evaluation of how ministry is done. Ministers in the USA and around the world must be knowledgeable about other people groups, world religions, worldviews and assimilation levels to serve their communities and churches effectively. 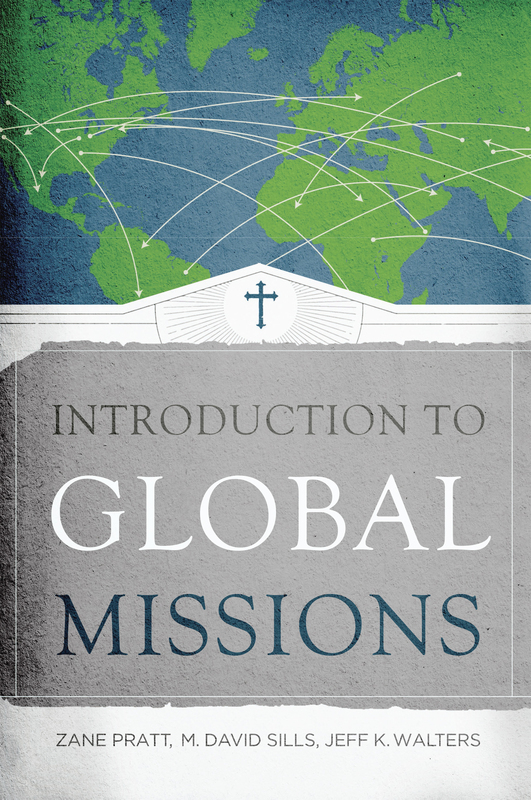 Introduction to Global Missions is a textbook designed to teach students in colleges and seminaries. It serves as a broad compendium that addresses global missions issues for biblically faithful ministry in today’s world. With such rapid changes in our world, textbooks that were written just 15 to 20 years ago fail to prepare students and ministers for ministry in a post-9/11 world. JW: What sets it apart is that it reflects the teaching of a significant number of our missions faculty and decades of combined experience. It is designed to help everyone from missions volunteers to local church pastors to future and current missionaries think about how to do missions well. ACH: In your book, you devote a full section to historical foundations. Why? MDS: Good stewardship of all God gives us includes the wise use of the church’s experiences throughout the expansion of Christianity. Standing on the shoulders of those who went before us allows us to see farther down the road than they could. When we learn how the church dealt with heresies, threats and opportunities in the past, we are able to incorporate those lessons in addressing challenges facing the contemporary church. JW: The history of the church is the history of missions. Good missiology and missionary practice is built on the Scriptures, but it is informed by history. For example, we can see throughout history examples of good contextualization and bad contextualization. As we think about how to plant churches in various cultures, we want to avoid those past mistakes. Most of all, history inspires me. When I read about Carey or Judson or Bill Wallace or Jim Elliot, God uses their stories to fuel my own calling. ACH: How do you hope to affect or influence readers? MDS: I pray that every reader of this book will not finish it in the place where he or she started. I pray that each reader will grow theologically, missiologically and evangelistically. I pray that each reader will be more committed to missions, read the Bible through a missiological lens and understand whether God has called him or her to international missions service. And I pray that reading this book will move readers around the world as God uses it to stir hearts and mobilize his church. JW: There’s a lot of poor teaching out there on various aspects of missions — leadership, calling, contextualization, etc. My prayer is that God will use this book to help sending churches, agencies and missionaries fulfill their calling well and that the nations will be impacted. RAI: Why is theological training imperative for a proper response to missions? MDS: For the same reasons that physicians go to medical school, even though a desperate world is dying without adequate medical care, missionaries also should obtain all the education they can possibly get. The passion to serve, and the heartache for those who have never heard, should not force us to the field without proper preparation. The Back to Jerusalem movement in China is littered with stories of sincere Chinese believers who rushed to the mission field only to return in failure when they encountered the challenge of cultural differences, the power of dominant world religions and the lack of financial, logistical or administrative support. They had great zeal but unfortunately it was zeal without knowledge. In my travels in the Caribbean and in South America, I have encountered two separate but similar situations where a missionary was sent to the Muslim world without thorough grounding beforehand, and in both cases the missionaries converted to Islam and then served as a Muslim missionary in their home cities. If God opens the door to a missions opportunity, and the missionary candidate is sufficiently prepared and has the support of pastor and congregation, then certainly follow the Lord’s leading and timing. But when the opportunity to get further education is there, the missionary and his hearers deserve the thorough grounding that seminary offers. Remember that in seminary you are not wasting time; you are digging a well that you and your hearers will drink from for the rest of your life. Dig deep. JW: Healthy missions strategy is focused on proclaiming the gospel among those who have never heard and establishing indigenous churches among those who turn to Christ. Missionaries on the field today are all working somewhere along that continuum – from engaging new people groups to discipleship and theological education in young churches. There is not a single aspect of that work that does not demand biblical, theological and practical preparation. Proclamation of good news means understanding the biblical gospel. Planting biblical churches means knowing biblical ecclesiology. Training pastors and leaders demands a solid foundation of biblical studies, theology and hermeneutics. For the missionary, then, theological education provides the platform on which all of our work is built. It is naive, even foolish, to believe that healthy evangelism and church planting can arise on anything less. On a personal note, missions history has shown over and over that good theology sustains missionaries in difficult times and places. David Brainerd, Adoniram Judson, and many others before and after them looked to their Bibles and their understanding of God, Providence and Christian hope as they faced suffering. When people were responsive and churches arose, such missionaries were able to see events with a proper God-glorifying perspective. RAI: Which worldviews pose the greatest challenge for missionaries today and why? MDS: The worldview that poses the greatest challenge for missionaries today is any worldview that is not Christian. Worldview answers the big questions such as where did we come from, where do we go when we die, what is truly real and what is illusory. It provides a system for interpreting all of life. It is the operating system of our life computer. It does not matter what the system is; when they are answering every question of reality through another narrative and seeing every event through a lens that is not divine revelation, their belief systems, value systems and behavior systems will be fundamentally flawed as well. The Christian missionary who presents John 3:16 to a people group who believe that all humans come from the union of two jungle birds may find raised hands at the invitation, or outright rejection, but neither response will issue from an understanding of who Jesus is, what he has done, and why we need him. Critiquing the worldview of others is a threat to them. For them to leave one worldview and embrace another is a huge personal step, but it also requires them to throw away former religions, and their former theologians – who were often their mothers and fathers. We find peace, comfort, confidence and stability in a worldview that everyone around us shares. When that is challenged, anxiety and fear take their place. Any worldview that is not Christian is a great challenge in missions anywhere. JW: I agree with Sills, but I would add that sometimes our own privileged Western worldview can be equally challenging. Paternalism and feelings of superiority come easy to our own culture but can be a fatal affliction for missionaries called to tell and show the gospel in other cultures. Discerning what is cultural from what is biblical might seem easy when observing others, but it can be very difficult to look at ourselves. Our own worldview also tends to displace the supernatural in favor of science and the empirically verifiable, even among Christians.